Are you looking for plumbing services or plumbers in the Town of Cary or the surrounding area of Raleigh / Durham / Chapel Hill (Also known as the “Triangle”? When homeowners in Cary need plumbing work, they can rely on Unlimited Plumbing to provide the highest quality and quickest service in the area. We do it right the first time. At Unlimited Plumbing, we take care of all your various plumbing problems so that you will have peace-of-mind that your home is operating properly. If you have clogs, leaks, or broken fixtures, we have you covered. Unlimited Plumbing understands how much stress a homeowner can have when things are not working properly. We offer Nights, Weekends, and Holiday Emergency Plumbing Repairs and Services in Cary, at NO EXTRA CHARGE. Our courteous staff will take the time to fully understand your situation and walk you through the problem and let you know how we can fix it. So, whether you need instant assistance with a plumbing emergency or a simple repair, we make ourselves available 24/7 to make sure we’re there right when you need us. Our team of technicians are highly experienced and friendly plumbers in Cary that will solve any plumbing problem you have. Our services are available at competitive prices and we provide premium services. Have an emergency? Unlimited Plumbing is available 24-Hours a Day, 7-Days a Week, on Nights, Weekends, and even Holidays. 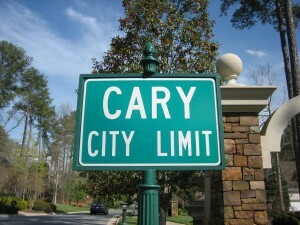 We have been servicing the Town of Cary for many years and have an unparalleled record for customer service. Our technicians offer Same-Day Solutions and Convenient Appointment Times for our busy homeowners in Cary. Our trucks are always fully stocked with common plumbing parts.